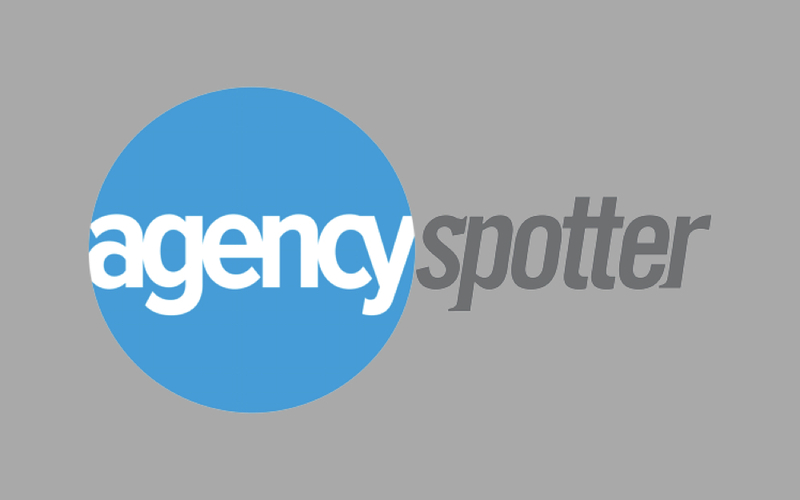 Read what Agency Spotter, a digital platform that monitors the world of creative agencies, had to say about Ruckus. Core Services: Ruckus is a full-service agency with core strategic engagements that are designed to deliver results, from branding that breathes life into company stories, to platform design that fosters engagement and campaigns that drive consumer action. # of Employees: While we are looking for additional talent, our agency is currently 12 full-time employees. # of Four-Legged Employees: Four-legged friends are always welcome when our employees feel like bringing them along, but we don’t have a resident pooch. When we started out, Ruckus was little more than a 3-person operation on the top floor of a Victorian walk-up in Morristown, New Jersey. We did have a great fish tank in the reception area, but this was of little consolation to clients climbing three flights of stairs. While we mostly worked with small mom-and-pop shops, we also put in the hours necessary to get noticed for quality results. After 3-4 years our hard work paid off, and we outgrew our space in Morristown. Wanting to seize new business opportunities and make ourselves more accessible to clients, we made the move to Manhattan. This time around, we didn’t have to build our own office furniture from scratch to save a few bucks. We also dropped the original red and black company colors for our now signature orange. Everything’s been trending up since. The main feature that clients and visitors to our office tend to notice and comment on is our built-in bar. We revitalized a legacy brew for a client a few years back and have since entered the craft brewing market with Ruckus Brewing. We work hard, but we make sure we have fun while doing it. At Ruckus, #agencylife means finding the best possible medium between creativity and practicality. We love creating innovative and boundary-pushing solutions, but at the end of the day all executions have to meet client expectations and drive results. “Big idea” hunting for the sake of having a big idea rarely does anyone any good. This approach spills over into professional vs. personal life – find a happy medium. We tackle the toughest marketing challenges and insist on growth. Commitment to building their brand the right way rather than the fastest way. An understanding that growth can’t be achieved without facing difficult, sometimes uncomfortable, decisions. Our clients love us because they know we’re committed to getting them the results they desire, rather than chasing a self-serving award or recognition that creates no measurable return. What is the best compliment you have ever received from a client? Ruckus understood my challenges and goals as an entrepreneur, and helped me realize my dream by turning my idea into a successful company. The thing we love most about branding is the ability to create an all-new voice for someone’s idea or business. The only limitations are the one’s you set, so it’s wide open to create something truly innovative. What is the one branding engagement you are proudest of? Why? We are proudest of our branding work on Reading Premium Beer. In just 3 months, we resurrected a 125-year-old beer that had once been the fifth-largest brewer in the U.S. but was at the time all but dead. We visited collectors of vintage cans and bottles, researched extensively, and then recreated an updated version of the branding by hand. Following the rebrand and campaign efforts, Reading Premium saw a 78% sales increase and a rise in wholesalers from 2 to 14 across the Northeast. We were also able to eclipse 1,000 social media fans in less than 30 days. If different from above, what is the most recognized branding work you have done? Tell us a bit about it. Our most recognized branding work is probably that for the Diocese of Brooklyn. The Catholic Church’s brand message wasn’t resonating with a new generation of adults and millennials, and the Church needed a way to increase attendance at mass. Ruckus created “The Original Hipster” as a way to establish a connection. Our campaign branded Jesus as “The Original Hipster,” sporting Chuck Taylors and everything, as a means of reaching a younger audience in Brooklyn and Queens. It achieved viral success, landing over 2.6 million media impressions and even a “Tip of the Hat” from Stephen Colbert. Which one to three brands do you currently admire the most? Right now, we really admire Samsung. In the last year or two they’ve been able to flex their branding and positioning away from the “not Apple” lens toward just being the best option – and their products (mostly) back it up. Infiniti has also delivered some clever work as of late, aiding their positioning against some of the entrenched brands (BMW, Mercedes, etc.). Under Armour gets props for the foresight of signing Stephen Curry and Jordan Spieth. Which one to three brands need to be redesigned/repositioned/etc.? Volkswagen has fallen victim to some poor positioning lately for obvious legal reasons, but we don’t feel they’ve taken the adequate steps to combat the slide. In terms of redesign, we think Verizon continues to miss the mark (due in large part to the tiny new check mark). What is one thing people don’t know about branding that they should know? One thing that people don’t always realize is that branding is a continuous effort – it’s not something that you just set and forget. Companies must actively monitor how their brands are being applied, ensuring consistency and a message that continues to resonate. Brands can become stale if they aren’t careful, so it’s something that requires diligent attention. Full feature can be found here.